You’d have to be either a madman or a genius to take a novel that’s over 800 pages long and condense it into under 2 hours. The story of Anna by Leo Tolstoy is considered to be one of the greatest novels ever written and I was shocked to see it ever made it to the silver screen simply because of the expectations that would go along with it, not to mention the large cast of characters. But in the 1935 Anna Karenina, it kind of worked. Anna Karenina, the novel, is essential a soap opera. 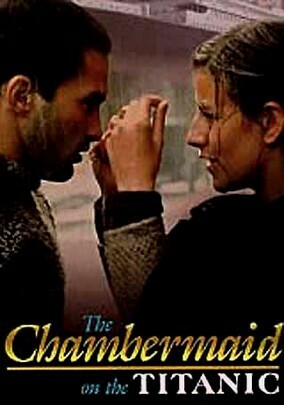 The title character must choose between her lover and social exile or her son and an unhappy marriage. But that’s only a small part of it. It also follows two other couples and several smaller characters through a long span of time and through infidelities, divorces, marriages, and Russian politics. It’s almost too much to handle for the casual reader. What I liked about the movie of the same name was that it focused almost exclusively on the affair of Anna and Vronsky, played by Greta Garbo and Frederick March, with short snippets of the first couple fighting over an infidelity and the second couple’s marriage. These short snippets are what gives an emphasis to Anna and Vronsky, while not taking away any of the attention or making it overly long. Garbo also stars in the 1927 silent version, Love, opposite John Gilbert as Count Vronsky. While this version isn’t to be dismissed, I wouldn’t pay it my highest regards. 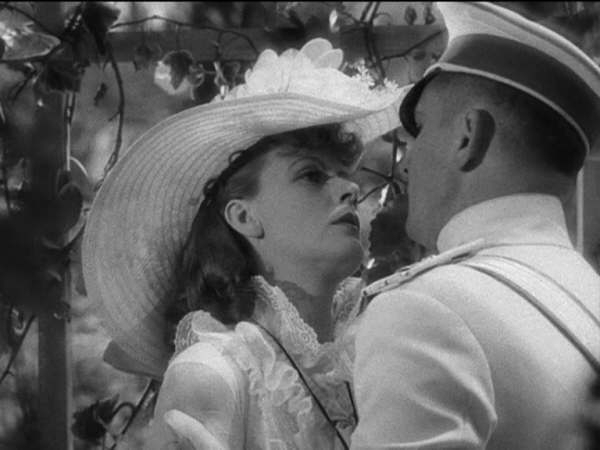 Though the chemistry between Garbo and Gilbert is electric (as in another favorite, Flesh and the Devil), this movie took the basic outline of Anna Karenina and then went off into its own little world, which would be fine and all if they had given the characters different names and didn’t take place in Russia. The most unforgivable aspect of this film is the ending where they cut out the great tragedy of the novel, where there was catharsis for all the wrongs and selfishness of the characters, and decided to go a happier route. Two movies on the same books with the same female star. The first is more authentic, closer to the book without becoming a miniseries, the second with a happy “Hollywood” ending. Obviously neither of them completely satisfies us because we keep making other versions of Anna Karenina, with the title character being played by the beautiful Vivian Leigh and, most recently, Keira Knightly. I’m going to watch both in the coming weeks and decide who truly captures the spirit of Anna without being too overwhelming. This film answers the age old question on how to make a movie about the Titanic when you have pennies for a budget. The answer: make it about a specific passenger on it and focus on him/her instead of the boat. In a way it’s kind of clever, having only one scene take place on the legendary ocean liner (and mostly beneath a table covered in linen so you can’t see anything), but it’s also kind of misleading. This is a French film, and while I’m not opposed to subtitles, there were many times when I wanted to turn the movie off because it didn’t make sense to me. For example, the main character, Horty, wins a company race and wins one ticket to go to England to watch the Titanic sail. What kind of a prize is that? Though only giving him one ticket was part of an elaborate plan for the boss to sleep with Horty’s wife, which we never really know if it actually happened or not, I can’t see how someone would be impressed with that. Then, when Horty gets to the hotel, the chambermaid, Marie, asks to share a room with him because they’re both French, which makes him good people, and she doesn’t have money for a room, which makes sense that she would try to stay at the most expensive hotel in the area. Later revealed that she is a prostitute or something, which is weird that she would go from that to a respectable job, which accommodates her earlier behavior, but leads to another hole in the plot. They barely talk to each other, they go right to sleep, and in the morning, Marie’s gone. What the movie is really about is the story Horty tells to his friends back home about this uneventful night. He tells a story of such passionate love that everyone believes him, including his wife, and in the process he begins loving this Marie that he’s created. The bar where he tells this story becomes so crowded with people that he is eventually taken on the road to spread his stories (lies) about Marie, and how the ocean took her away from him. He tells this story to sold out crowds, first on a little outdoor stage, then inside theatres. Overall, I can’t say that I either hated it or was moved by it in any way. It’s somewhat of a forgettable movie, and the Titanic – the most dramatic part – is merely a byline mentioned almost in passing, portrayed by a picture thrown on a green screen. I feel like it was pretty blah, for lack of a better word, but all is not lost. It could have been good if a few things were cleared up, and if something significant happened to Horty on his journey from barroom to a National stage. But alas, this is the movie that we have. Posted by: Jen. 5 stars. 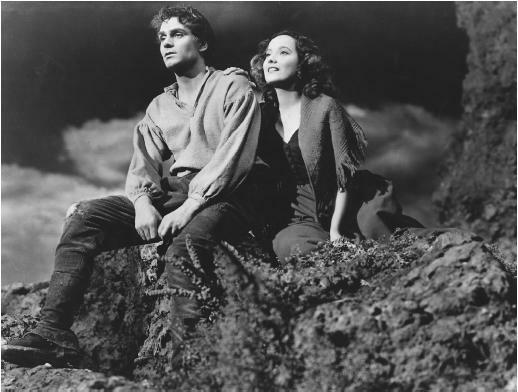 The novel Wuthering Heights by Emily Bronte makes one physically uncomfortable reading it, and I put it off for a long time before seeding the 1939 film starring Laurence Olivier and Merle Oberon. All the main characters are scoundrels with no redeeming qualities, who take pleasure in hurting those around them. It is dark and twisted, and even the ending is a little unsettling. This movie portrayed the story the way we as readers want it to be – a bittersweet love story, two star crossed lovers longing to be with each other, an ending where they finally are. While still a little unsettling, it is easier to digest, and is a story that will make any girl’s heart sigh. Master Heathcliff (Olivier) was a beggar boy, dying in the street when Mr. Earnshaw brought him home to raise with his other two children: Hindley and Catherine. Hindley saw competition from the Heathcliff, who quickly became the father’s favorite. However, young Catherine takes a liking to the new boy, and the two become inseparable. When the father dies, young Hindley takes his place as master of Wuthering Heights (the name of their house), and turns young Heathcliff into a servant. This turns him into a rough, hot-headed man who is always dirty and ready to fight. The only reason he stays is his love for Catherine and wanting to be near her. Catherine, ever ambitious, separates herself from Heathcliff in the interests of money and marries another man. Heathcliff becomes even crueler, and plots the downfall of everyone around her as soon as he makes a fortune by some mysterious and unknown means. Once he is rich, the two do everything they can to hurt each other by using those who are around them as pawns and everyone is miserable until the very end when the two lovers are united, but it’s really not as happy as it sounds because there can be no happiness in two such decrepit souls. Olivier makes Heathcliff a hero – the romantic lead that we desperately want Heathcliff to be, rather than the monster in the novel. It shows his childhood with Catherine, where they escape the harshness of Hindley, and it turns them both into sympathetic characters. We want them to be together. Whether you’ve read Wuthering Heights or not, this is a great romantic movie, on par with Pride and Prejudice and Jane Eyre. And though I’ve seen Olivier in movies before, this is the one that turned me into a fan. 1939 was a great year for great movies, and I cannot recommend this one enough. 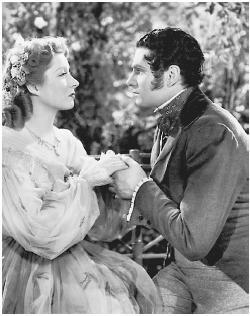 Sometimes remakes are better Nothing proves this more than the 1940 version of Pride and Prejudice starring Laurence Olivier and Greer Garson. Although Garson was beautiful and Olivier was considered one of the greatest actors of the 20th century, they were not enough to save this farce. Pride and Prejudice is a popular Jane Austen novel written in the late 1800s, and is so beloved by fans that there are several published works by various authors taking up where Austen left off. Darcy (Olivier) is a rich man who visits Hertfordshire with one of his buddies. This is where he meets the headstrong Elizabeth (Garson), and the two face off in a battle of wits. He thinks he’s better than her and her family, and she hates him for it. As they get to know one another, they discover that they were wrong about each other and begin to fall in love. Instead of using the material set before him in the novel and the movies that came before, the director decided to throw in scenes and situations that weren’t in the book, including a carriage race, the Bennet family getting ready to move out of their house and a scene where Darcy tries to teach Elizabeth how to shoot a bow and arrow. By doing this, we get a laugh or two, but lose a little of the novel along the way. They even completely changed some of the traits of the main characters, such as making the shy Jane Bennet into someone who openly shares her feelings and dreams, which changes a large portion of the film. Elizabeth was a headstrong, witty woman who suddenly cried and allowed Darcy, a man she hated, to console her. The conflicts between some of the characters’ personalities were nonexistent. All the elements that made the novel so beloved suddenly became like any other romantic movie. If you want a version that’s exactly like the novel, I would recommend one of the BBC miniseries, because nothing will be left out. They even spend ten minutes panning on a close up of Elizabeth reading a letter. If you want a watchable movie that’s exciting and fairly true to the novel, I would recommend the 2004 version with Matthew MacFayden and Keira Knightly. The 1940 version is good for a laugh, but is not to be taken seriously. I expected better.